The Davis Clinic is Houston's premier andcomprehensive weight management program. Renowned bariatric surgeons, Robert Davis, MD, Garth P. Davis,MD and Tony Primomo, MD treat the disease of morbid obesity withsurgical and non-surgical techniques. And now our clinic has an App to help you along your weight lossjourney. You DON'T have to be a patient to use our App. Enjoy. Baritastic is the # 1 app for bariatric surgery! Baritatric surgerypatients have specific goals, requirements and guidelines beforeand after surgery. 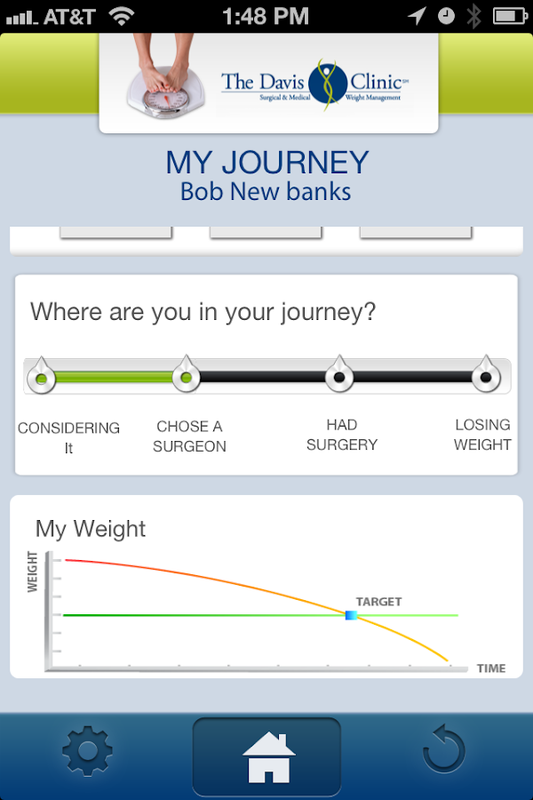 And now there is a free app specifically builtfor bariatric surgery. * Nutrition and Water Tracking * Reminders -Vitamins, Water, Protein Shakes, Meals, Other * Bariatric Food,Water, and Bite Timer * Patient Journal - Log thoughts, take pics,rate your hunger an happiness. * Newbie Checklist - Stay on taskand get to surgery. * Bariatric Specific Recipes * BariatricSpecific Resources * Baritastic Social Support Group * Connect toYOUR Bariatric Program Through the Baritastic App * and more!Whether you are considering weight loss surgery or are alreadylosing weight, this app is for you. Lap Band, gastric bypass,gastric sleeve, gastric balloon, duodenal switch - it's all here.Notes: We are always improving the app and appreciate yourfeedback. You can now connect to your bariatric program via theapp. Once connected, you'll have access to your dischargeinstructions, support group calendar, diet guidelines, keycontacts, and much more. If your bariatric program hasn't given youa code, ask them for one or tell them about Baritastic and we'llget them set-up. The Hospitals of Providence's Bariatric Program (A New Me) ispleased to offer this app to help you: * Track your weight loss *Learn about our program * Track nutrition * Access healthy recipes* Stay connected, motivated and engaged * Lose more weight and keepit off. The Hospitals of Providence's Surgical Weight Loss Programoffers surgical options for those struggling to lose weight andkeep it off. If your weight is affecting your health, we can help.The Hospitals of Providence's Surgical Weight Loss Program has beenrecognized as a Center of Excellence by the American Society forBariatric Surgery, Surgical Review Corporation. Our program centerspecializes in gastric bypass, lap band and gastric sleeveprocedures. We also provide long-term patient management to helpour patients take control of their obesity and regain their health. The Texas Center For Medical And SurgicalWeight Loss offers one of the most comprehensive weight lossprograms in the state.Cutting-edge minimally invasive surgical techniques areperformed by leading bariatric surgeons; Dr. Sonny Cavazos, Dr.John J Gonzales, and Dr. Allen Alvarez.The non-surgical weight loss program is led by Dr.Anz-Cavazos.We now offer a new way to stay connected and get the support youneed with this app.With this app you can:* Track your weight loss* RSVP to support groups* Watch an online seminar* Make appointments* Access recipes* Ask us a question* And much more. This app allows you to track nutrition, track exercise, trackweight loss, access recipes and much more. At Red Mountain WeightLoss we give you the tools for success. 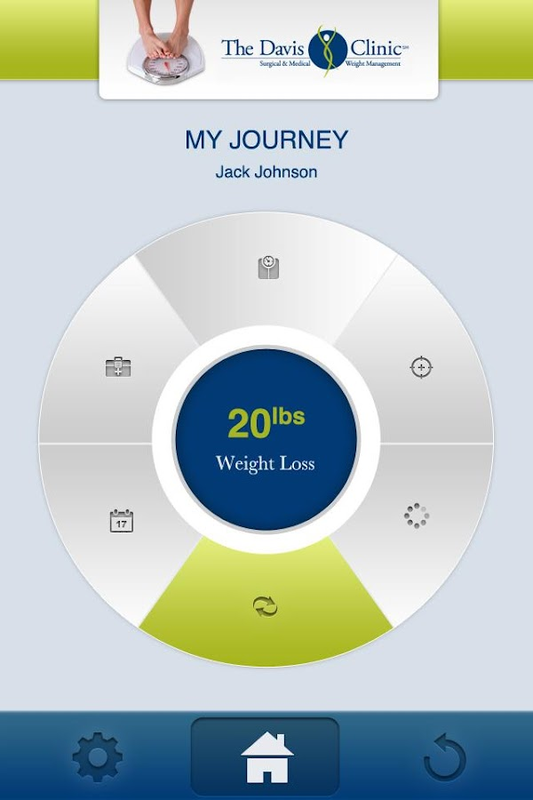 This app is designed tosupport your weight loss journey at every stage; before, during,and after your time with our dedicated team of professionals. WhyMedical Weight Loss? Medical supervision is absolutely necessary todetect and treat weight related medical conditions, as well as toimprove the patient’s overall health and well being. A programsupervised by a Bariatric Physician, who has completed training inObesity Medicine, offers a comprehensive and effective approach tomaximizing overall health and reversing weight related diseases.What is a Bariatric Physician? A Bariatric Physician is a doctorwho specializes in the treatment of obesity and other weightrelated conditions, such as high blood pressure and Type IIDiabetes. What is Medical Weight Loss? Medical Weight Loss is acustomizable weight loss program, utilizing prescriptionmedications that are designed to fit your needs, lifestyle andhealth conditions, under the care of a Bariatric Physician. MedicalWeight Loss helps people who have struggled with a slow metabolism,menopause, or even those last few annoying 10 pounds, to finallylose the weight. Medical Weight Loss is also faster, easier, andsafer than standard dieting. Many of our patients no longer needmedications for prior health conditions (such as diabetes or highblood pressure), once they’ve been able to lose weight effectively. Considering weight loss surgery? Alreadystarted your journey? This app is for you.With this app you can:* Track nutrition* Track exercise* Track weight loss* Request appointments* RSVP to support groups & seminars* Learn about our program* Watch an online seminar* Learn about weight loss surgery* And much more.Your Weight Doesn't Have to Define YouClinical obesity is not the isolating issue it once was. After all,more than 78 million American adults — about a third of thenation's population age 20 and older — struggle with obesity.There now are medically approved ways to effectively confront thisconcern.If you're approximately 75 pounds or more overweight with a BMI of35 or higher and have certain related health conditions, you may bea candidate for weight-loss surgery, a branch of medicine known asbariatrics.The HonorHealth Bariatric Center at Scottsdale Shea Medical Centeroffers minimally invasive techniques that can help you return to astate of balance and good health.The doctors there offer two procedures, all performedlaparoscopically (using small incisions near the belly button):gastric bypass, and sleeve gastrectomy. The best procedure for youdepends on your individual needs. Our surgeons will discuss yourbest options with you.If you have a BMI less than 35 but are obese and experiencinghealth issues related to your weight, you might be eligible for oneof our clinical trials.The Program:The team at HonorHealth has developed a comprehensive,evidence-based, multidisciplinary program to help seriously obesepatients achieve safe, sustained weight loss.The HonorHealth Bariatric Center is accredited as a Center ofExcellence from the American College of Surgeons for metabolic andbariatric surgery as well as an extensive quality improvementprogram. With bariatric surgery, a dedicated, multidisciplinaryteam provides long-term patient care to achieve weight loss successand resolution of medical conditions related to obesity. TheAmerican College of Surgeons has recognized this by awarding theCenter of Excellence designation to the surgeons and thefacility. The Bariatric Medical Institute (BMI) of Texasis one of the top Texas bariatric institutes and is located inbeautiful San Antonio!With leading experts in the field of weight loss surgery, Dr.Terive Duperier, Dr. Mickey Seger, Dr. Richard Englehardt, and Dr.Jennifer Seger, BMI of Texas makes your health theirpriority.BMI of Texas has a full range of support services that include anon-staff dietitian, personally tailored weight loss plans,cutting-edge bariatric surgery services, regular support groups andmuch more.Now we are pleased to announce that it just got easier to stayconnected to BMI of Texas.If you're considering weight loss surgery or you're already a BMIof Texas patient, this app is for you. 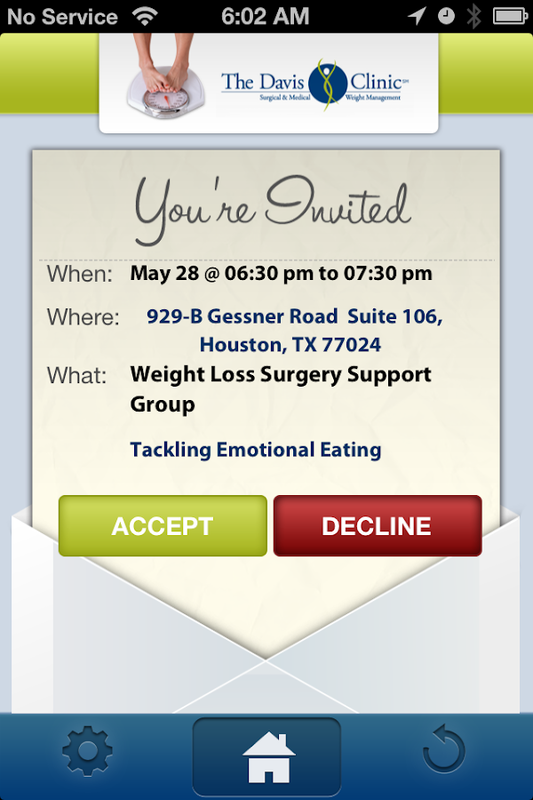 Access our support groups,track your weight loss, access recipes, create a photo timeline ofyour success, ask us a question, refill your supplements, and muchmore can be done through our app.The Bariatric & Metabolic Institute of Texas is proud to offerone of the most comprehensive weight loss programs in Texas. Startyour journey with BMI of Texas. The Hurley Bariatric Center is fullyaccredited as a Center of Excellence through the American Collegeof Surgeons and has been offering surgical weight loss options fornearly 15 years.Here, at the Hurley Bariatric Center, we take a comprehensive andholistic approach to bariatric care. Our team not only consists ofa skilled Bariatric Surgeon and Bariatric Medical Physician, butalso a Nurse Practitioner and Physician Assistant who arewell-trained in caring for the bariatric surgery patient.We have a Registered Nurse, Registered Dietitian, MedicalAssistant, and Exercise Specialists to educate and guide you bothbefore and after surgery. Additionally, we offer secretarialsupport/insurance specialists to help you through the pre-surgeryinsurance process.Most importantly, you’ll find our team really cares about ourpatients, working hard to help you achieve your goals! Here at theHurley Bariatric Center, we want to make sure you have the bestpossible chance for a positive outcome! We want to offer you newhope, new health, and a new life!We are proud to offer you one more tool in your arsenal to battleweight loss. This app will let you track your weight, take photosof your progress, connect with our staff, request appointments andmuch more.We want you engaged, connected and motivated for success. Considering Weight Loss Surgery? Already hadsurgery? 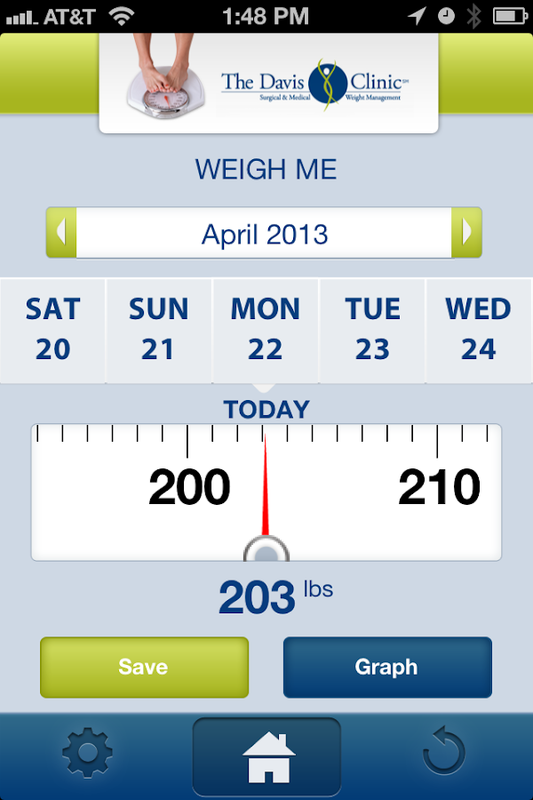 This app is for you.With this app you can:* Track your weight loss. * Access bariatric friendly recipes. * Request appointments. * RSVP to seminars and support groups. * Participate in a Steps Challenge. * Learn about weight loss surgery.Foothills Weight Loss Specialists is the first surgical weightloss practice in the Knoxville area. Since 2002, we have helpedmore than 2,000 individuals lose a total of over 200,000 pounds –more than 100 tons – as a result of weight loss surgery.Foothills Weight Loss Specialists is now located at Fort SandersRegional Medical Center in Knoxville, home of the Fort SandersCenter for Bariatric Surgery. Fort Sanders is the flagship hospitalof Covenant Health.Our surgeons, Dr. Mark Colquitt and Dr. Jonathan Ray, are bothboard certified by the American Board of Surgery and are members ofthe American Society of Metabolic and Bariatric Surgery(ASMBS).The mission of Dr. Colquitt, Dr Foothillsr. Ray, and our staffis to give you the tools to help successfully transform your lifeand health with bariatric surgery! Yoga for Weight Loss:Weight loss is one issue we deal with at somepoint in our lives. We try several ways to reduce weight - likegoing to the gym, eating less, going on a diet and what not. But doyou know the simplest way to lose weight?By now, you will haverealized that the best way to lose weight is to do Yoga. Just dothose Sun salutations daily and you will lose weight in no time?But that's just the beginning - we have videos for helping you outon your weight loss journey.In this Yoga for weight loss app, youwill find the following videos:1. Yoga for Weight Loss &Flexibility.2. Surya Namaskar Asana for Weight Loss.3. Power Yogafor Weight Loss.4. Core Weight Loss Yoga.5. How To Get A Toned Bodywith Yoga.6. Yoga High Energy Workout.7. Interval Yoga Workout.8.How To Sculpt Your Body with Yoga.9. How To Boost Metabolism withYoga.10. 8 Minute Yoga for Weight Loss.11. Yoga Burpees.12. YogaBrunches.13. Kapalabhati Pranayama.13. Best Yoga Asana for WeightLoss.14. Detox Yoga for Weight Loss & Digestion.So what are youwaiting for. Just download the App & start working out. Doremember to share this with your friends. 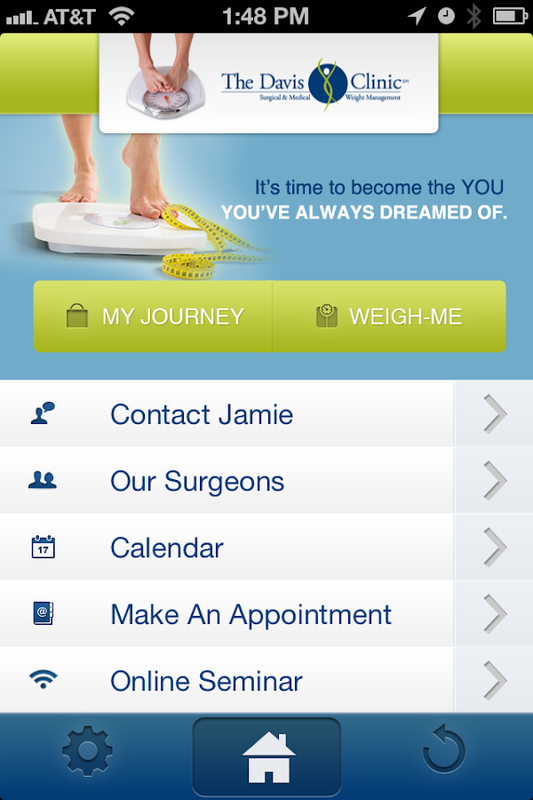 The Mercy Bariatric app is a free app to help you on your weightloss journey to a happier, healthier you. Explore what to expectbefore, during and after bariatric surgery as well as the multipleminimally invasive procedures available today including gastricbypass, gastric banding, sleeve gastrectomy and revisionalsurgery.Take a photo of yourself with the app and use our sculptingtool to see what you could look like after the surgery and theprogram. Email the photo to the Mercy Bariatrics team to find outif you’re a candidate and arrange for a complimentaryconsultation.You’ll have direct access to the Mercy Bariatrics teamto answer any questions you may have and if you’re ready, to set upan appointment. 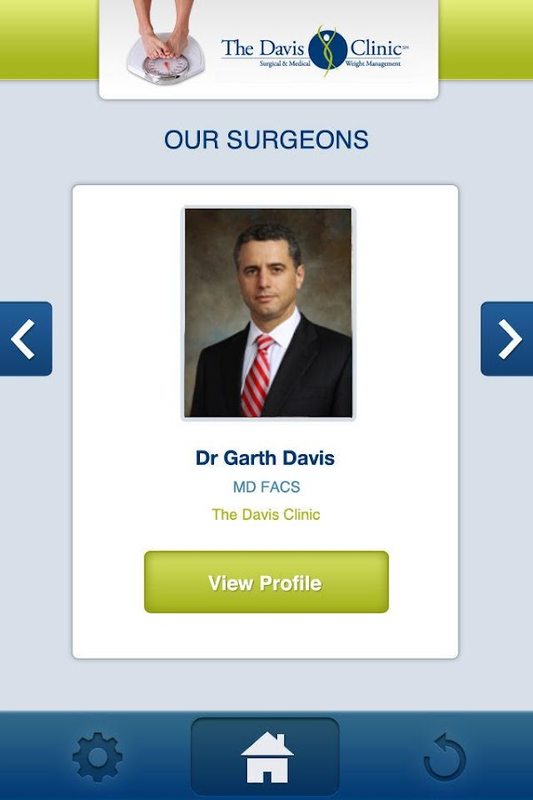 You can also use this app’s easy to use ‘requestconsultation’ form to setup an appointment.Learn more about MercyBariatrics by visiting mercybariatrics.org.More About MercyBariatricsMercy Bariatrics is a Bariatric Surgery MBSAQIPAccredited Center and Blue Distinction Center for BariatricSurgery®. Our board-certified surgeons are trained in the latestadvances in bariatrics surgery, including: gastric banding, gastricbypass, sleeve gastrectomy, and revisional surgery and ReShape™Integrated Dual Balloon technology.Please note that this app isinformational only. It is not intended for diagnosis and treatmentof any health condition, nor is it a substitute for in-office,professional medical advice. Please use this app in an environment,location, device, and account that supports your comfort and needfor privacy. This app is useful for Medical Coders, Auditors, CDIP professionalsin a hospital setting and or reimbursement department, who needs tohave the working knowledge of which diagnosis is CC (Co-morbidcondition) and which ones are MCC (Major Co-morbid condition) aswell as SOI (Severity of Illness) level. Instruction: Install theapp, launch it, choose ICD-9 or ICD-10, type your diagnosis in thesearch box (you can type the whole word, a few letters or put inthe code), then a list of diagnosis in that category will appearand you just choose the specific one you are looking for and theapp will show you the ICD code, Diagnosis Description, CC/MCC andSOI. Please see the screen shots. Dental desk is an application desk for answering the queriespertaining to dental problem.It is not only an informative app butalso a platform to provide temporary relief from various dentalproblems by using common household techniques.The main motto ofthis app is to acknowledge people regarding various alarming dentalproblem and educate them regarding various treatment modalities.Thenext facet of this app is to create awareness among peopleregarding dental care and oral hygiene habits.In today’s 3G worldlifestyles have changed. In olden dentistry, removing tooth andreplacing it was only motto of dentistry. Today’s modern procedureslike RCT, crowns and bridges have changed lifestyles.Introductionof RCT has saved lives of many teeth. Modern filling proceduressuch as composites has restored teeth to normal and are quitesuperior to traditional silver filling.Morbidity due to inabilityto eat food owing to dental problems has considerably decreased.People were reluctant to use removable artificial teeth, but due toadvent of fixed teeth and implants the acceptance of artificialteeth has increased.Dental implant is corner stone of today’sdentistry. It has considerably improved looking and eating stylesof patients. Older people have left using traditionally prepareddentures and started enjoying the magical effects if implantsupported dentures.Smile designing by laminates have made girlslooking more gorgeous and lovely than ever.Ortho treatment can makeugly to look charming.Gum problems are next alarming issues due tolack of nutritious diet.So this app has featured answers to allquestions to dental problems and remedy for same. Immediate relieffrom pain is the main backbone of this app.